Send Me an Angel… Just Make Sure She’s Blonde! I have found another shampoo and conditioner that I can actually recommend. Actually, it’s an entire brand that I’m obsessed with, but this is first and foremost blonde like us! 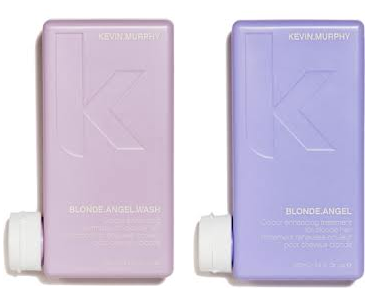 Kevin Murphy, the Aussie Angel has another fantastic product that I had embarrassingly not tried until recently. I know I get stuck on certain products for blonde hair, but its only because great ones rarely come out! We have talked about the L’anza purple shampoo (which i still have in my shower and love love love), but here is a little upgrade for us “Angeles Blondes”. 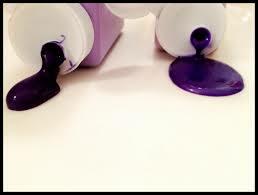 Remember… if you have hair that hasn’t been washed for mare than 36 hours, use a regular shampoo before the purple one, and if your hair is extra dry, follow up the purple conditioner with a regular condition after…! Yes, conditioning twice is allowed and also super helpful, especially in Los Angeles water…ew. If you don’t have a shower filter please skip to [shower filter posting] and get one. Your hair and skin will thank you a lot!!! Love and Purple Shampoo and Extra Conditioner! !